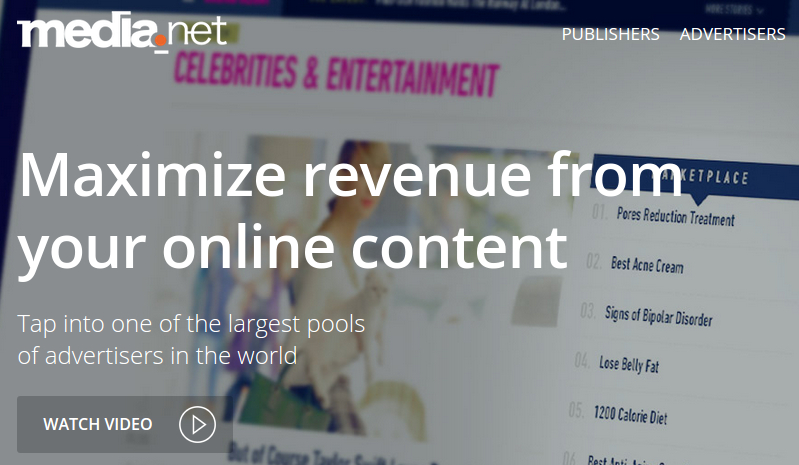 This time I want to share about Media.net, one of the google adsense PPC program competitors which are famous. After some time ago I tried to register my blog with health niche but media.net always refused, then I got a suggestion from a friend to sign up again despite wearing the same blog. Because the experience he could be accepted despite wearing blog ever rejected. My next step is use to sign up again, so then my blog got approved was actually with very simple trick, I just changed the blog template with a standard template and replace the article on the main blog with new articles that pass from copy scape.com ( Unique Article ). then I try to register again and only within 10 hours of media net direct reply that I have been approved by media.net blog. Right now I just try to look at the dashboard media.net, but unfortunately to add new other blogs seem to be in diificult to register, unlike in adsense that can be directly added. Updates my income got $ 1.43 the first day of the blog with Unique View about 200 times to about 350 times from the Page View, settings are redeemed payment easier because it can use Paypal with a revenue limit of $ 100, so it is not complicated to have to use a PIN as adsense. Overall I tried this program seems quite promising with media.net, later on if there are further developments I will share here, as compared to infolink and Chitika indeed media net seems greater earnings. clearly it can be used as an alternative to replacement adsense PPC program for those who are bored with adsense banned.